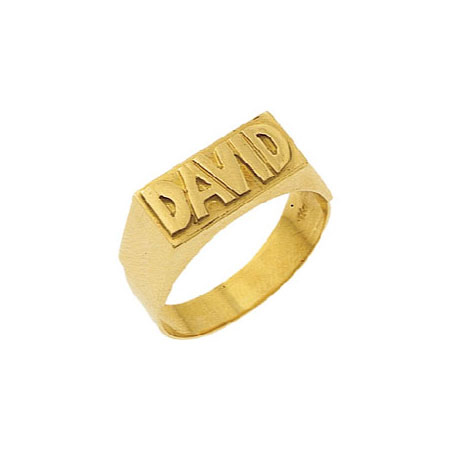 Flat top 14K Gold name ring. High polished letters embossed over a florentine finished background You can choose: any ring size and any name Makes a unique ans special birthday present. Hand crfted in Jerusalem / ISRAEL.